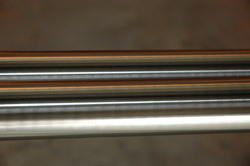 For boat shaft orders, Best Stainless keeps all rough turned bar in long lengths and oversized to finish. Simply contact a sale representative with the desired grade and tolerances for your application and we can centerless grind the boat shaft to suit. We stock a large variety of stainless steel alloys. Click here to view a full list of our stainless steel grades. We are one of the United States’ leading distributors of shafting with inventory built around catering to the shafting market’s needs. Ask a sales representative for more details.